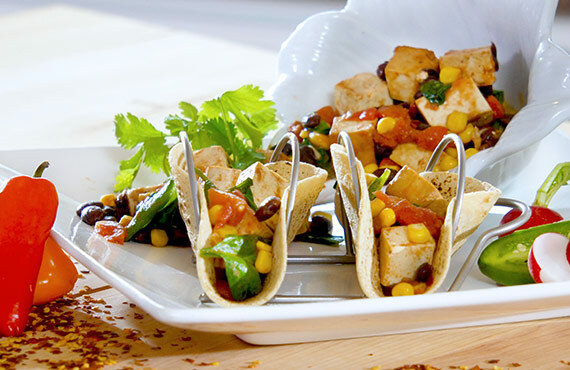 Make nutritious eating exciting with a fiesta of flavor using baked savory tofu from Wildwood. Celebrity Chef Lindsay Autry shows our viewers how to make tacos with a delicious meat alternative. 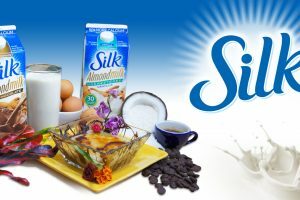 They’re so delicious; we dare you to taste the difference. 1. Heat a large sauté pan over medium heat and add the olive oil. Add the minced garlic and sauté, stirring constantly for 1 minute. 2. Add the cumin and crushed red pepper and stir to toast the spices. Carefully add the diced tomatoes and their liquid to the pan. Simmer for 5 minutes. 3. Stir in the drained black beans and fresh corn and return to a simmer for an additional 5 minutes. 4. Add the diced savory tofu and the spinach leaves, stirring to combine and continue to cook for 5 minutes. Season with salt. 5. Transfer the cooked tofu mixture to a serving bowl, serve with warm corn tortillas, and top with chopped fresh cilantro.